Whenever you think of poor countries your mind would instantly go to towards the war torn and bereft of resources countries in the African part of the world. Some would think about a few Asian countries and then your mind would go to the poor Caribbean and Latin American nations. Europe is generally the only continent that one wouldn’t think of poverty as an issue. But no matter the quality of the crate of apples, there are some that are bound to be either tasteless or ruined. Same is the case with some of the European countries where economy has failed to thrive in recent years. Still, one might argue that even the poorest country in Europe doesn’t feature in the top 25 poorest countries in the world. The only thing that remains is that the countries listed below aren’t as attractive for the potential immigrants all over the world as the rest of the Europe may be. Do you know which the poorest country in Europe is? 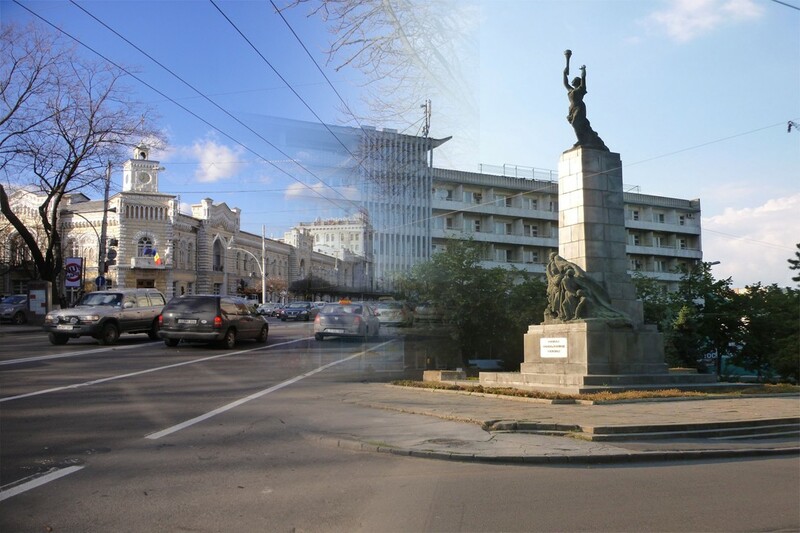 As a heavily agricultural nation, Moldova has failed to become as sophisticated as other European countries when it comes to industrialization and capitalism. Another reason for the poor economy is little international involvement following conflicts from separatists that are funded, allegedly, by Russian groups. Kosovo is a fairly new country following its independence from Serbia in 2008. The separation proved to be in bad tastes in both of the countries which made them slump amongst the top 5 poorest countries in Europe. Kosovo has failed to be recognized as a strong independent nation and international investment opportunities have been scarce. Economic thriftiness has eluded Macedonia for much of its existence. When it was a part of Yugoslavia it accounted for merely 5% of the soviet nation’s total income. The blanket effect protected the country before but ever since the separation and recession the country has been in a massive economic slump. 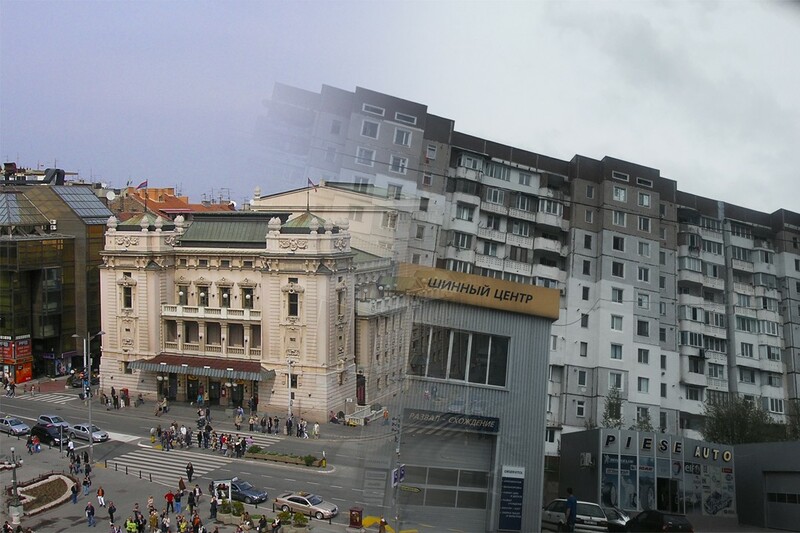 Serbia is on the rise when it comes to shift in economy during the recent years. The country suffered badly from the Yugoslavian separation and then the 2008 recession. However, an interest from several fortune 500 companies looking to set base in the country has lowered unemployment and brought some stability to the country in recent years. The consistent Bulgarian presence in the poorest of the European countries has been an anomaly given the country’s strong non-Euro currency. 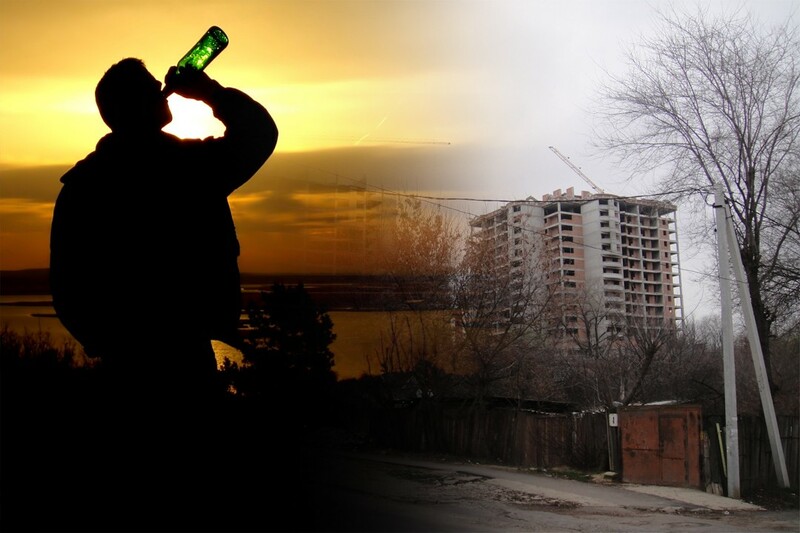 The main problem in Bulgaria is the corrupt political system which means that almost 30% of the country lives under the poverty line. Nobody needs to be a rocket scientist to figure out that that many people under the poverty line spells hazard for a country’s economy. Montenegro’s economy has seen itself rise from the dead in recent years with an increased interest of English, Russian aristocracy as well as a positive shift in tourism. However, the country is still recovering from the post-Yugoslavian era and it could still be some time before the economy is out of shambles. 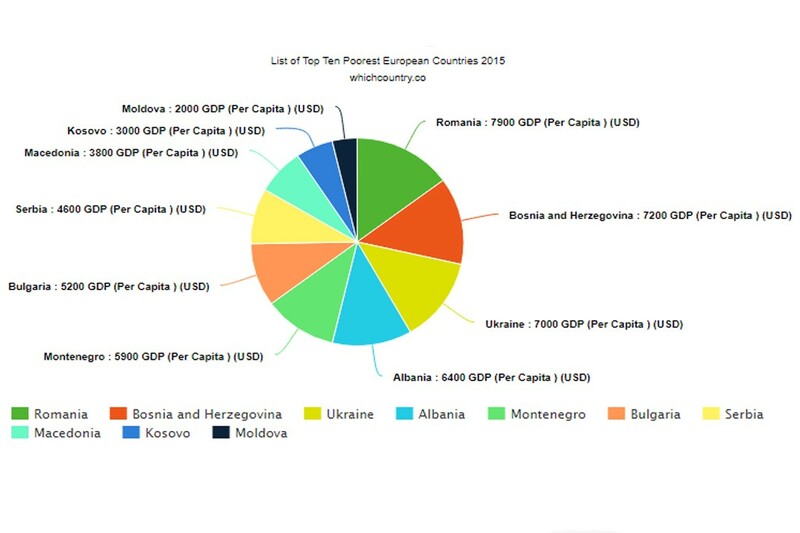 Albania has failed to grow as an economy because of the lack of industrialization and exploitation of abundant natural resources like Iron and Natural gas. The reliance on agriculture as your economic mainstay can only get you so far. 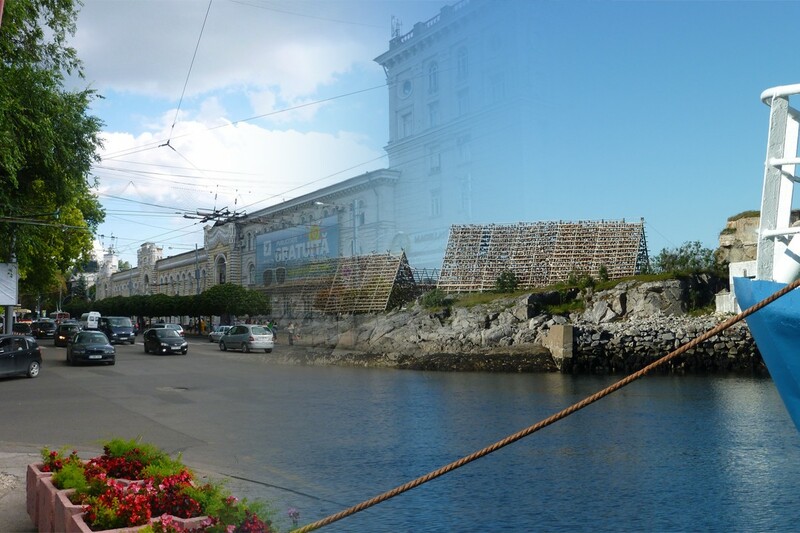 The second largest country in Europe, Ukrainian economy is another that was hit badly by the recession. On top of that the country has been battling with Russian interventions ever since its separation. The failure to become a member of E.U also dented their economy while their foreign reserves are also chump change compared to other countries with their size and population. The economic struggles in Bosnia and Herzegovina go way deeper and back then the 2008 financial crisis. Their struggles to regain a proper foothold in the international market stemmed from the split with Yugoslavia over 25 years ago. The country is gaining ground in recent years but it hasn’t been easy going for the dual named nation. The list below is compiled using GDP per Capita. Note: The figures may change over time and are the approximation of the average GDP in recent years. Home to the colonial structures, several castles, beautiful architecture and Bucharest, sixth largest city in Europe, Romania is what you might call a surprise entry in the bid for the poorest country in Europe. The GDP of Romania took a severe hit during the 2008 financial crisis like many other European countries. Fortunately, the things seem to be looking up as the recent GDP figures for the country have shown to be inching towards $10,000 per capita.